Facebook is known for copying Snapchat’s features for its social media platforms. And, the social media giant has done it yet again!!! 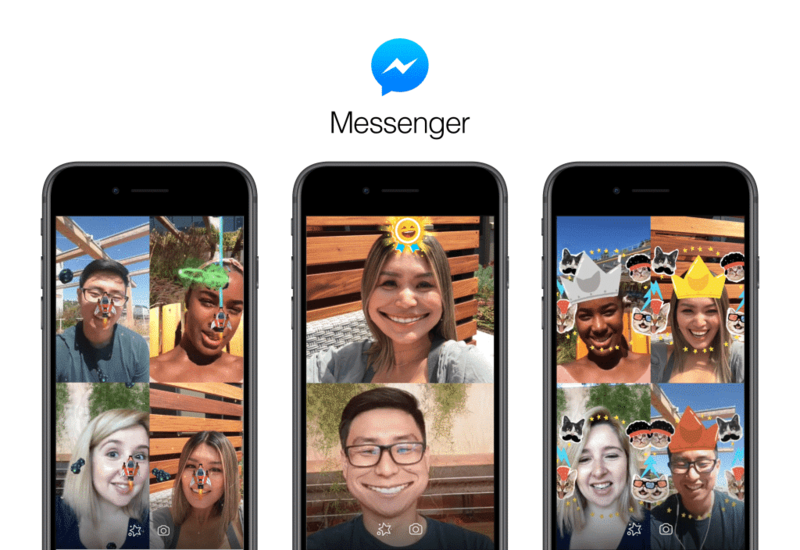 Facebook in a blog post yesterday announced a new feature in Messenger app for its users that makes connecting with friends in video chat even more fun and competitive. Facebook has added augmented reality (AR) games in video chats of its Messenger app. This feature allows up to six people to play the AR games at a time via video chat. “For the moments when we can’t be together IRL, Messenger video chat helps you connect in real-time with the people you care about most. Today we’re excited to make connecting with your friends in video chat even more fun – and competitive! – with multiplayer video chat AR games,” Facebook said in the announcement on Wednesday. Currently, there are two AR games, ‘Don’t Smile’ and ‘Asteroid Attack’ that are available to play. These games test each player’s ability to steer a spaceship using their face. “With this feature starting to roll out today, you can challenge your friends around the world to two games: see who can hold a serious face the longest with “Don’t Smile”, or see who can better navigate their spaceship with “Asteroids Attack”, the social media giant said. Facebook also plans to roll out more games in the coming weeks and months. One of them is called Beach Bump, where players get to pass a beach ball back and forth, while another one is a matching cat game called Kitten Kraze. If you wish to try out the new feature, ensure that your device is running the latest version of Messenger app. Open a new or existing video conversation or find the person or group of people you would like to chat with and tap the video icon on the upper right corner of the screen. Click the star button and select one of the AR games from the list. The app will then notify the person or group in the video chat that the game is starting. Facebook’s new feature is very much like one of Messenger’s chief competitor, Snapchat’s Snappables – the lens-based games inside the Snapchat camera, that was launched in April this year. Snappables allows the user to use touch, motion, and facial expressions to compete for high scores or in literal head-to-head multiplayer match-ups. Some of the first Snappables previewed by Snapchat include an Asteroids-style space shooter, a weightlifting one you play by straining your forehead, a bubble gum popping contest, an egg-catching competition, a kiss-blowing game, and a dance party. What do you think about Facebook’s new AR games feature in Messenger app? Do let us know in the comment sections below.